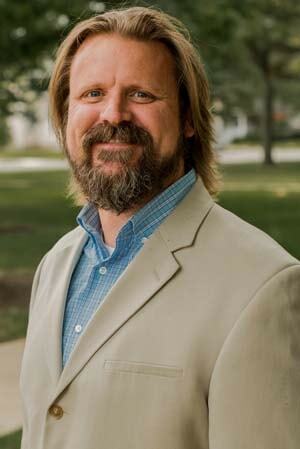 David Riggs is an associate professor of humanities and dean of the John Wesley Honors College. David’s scholarly interests revolve around his primary research agenda devoted to the religious world of late antiquity and to his participation in various national initiatives on spirituality and liberal learning in American higher education. Most of his research publications have focused on the socio-religious history of late-antique North Africa and he is preparing a manuscript on pagans and Christians in late Roman and Vandal Africa for Oxford University Press (Divine Patronage in Late Antique North Africa). David is also engaged in a long-term collaborative research project (with Christopher Bounds and students and alumni from the John Wesley Honors College) exploring patristic conceptions of "grace" in light of Graeco-Roman models of patronage. In addition, David has served as a distinguished scholar of Latin texts for the Green Scholars Initiative. In his capacity as an honors educator, David is co-editing (with Stan Rosenberg and Aron Reppmann) a monograph for the National Collegiate Honors Council entitled Seeking the Soul of Excellence: Spirituality and Holistic Learning in Honors Education. David is married to his high school/college sweetheart, Laura (Godknecht) Riggs: a CPA and fellow Southern California native. David and Laura have been blessed with four children—Patrick (21), Christian (18), Alexandria (16), and Faith (12)—and have felt privileged to raise them in Marion, Indiana.